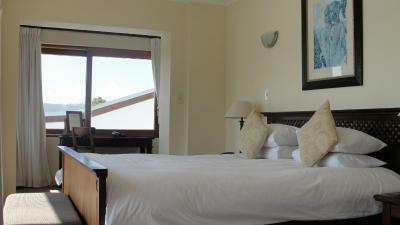 Lock in a great price for Augusta Bay Guest House – rated 9.3 by recent guests! Friendly staff. Paddy and Antje were great hosts. Music was perfect. The view was great. Great breakfast. Spacious, generous room and bathroom. 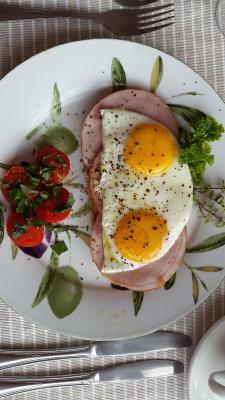 Excellent breakfast with attractive options for the cooked part. Bar/reception and breakfast room area with great views. Helpful manager couple and staff. Quiet situation. Very speedy and professional follow-up on inquiries before our arrival. Scrumptious breakfast and coffee! Beautiful location and view from room. Friendly hosts, Patty gave us great tips on where to eat and how to get to Cape Town from Kynsna - Route 62!! The location is amazing, music (Jazz & blues) and stuff are amazing! 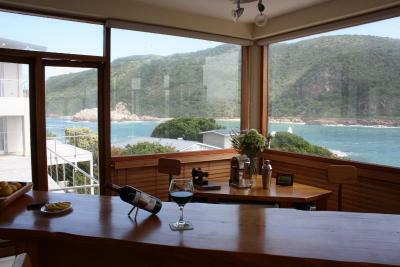 if you are around Knysna and looking for a place, this is your best place! One of our top picks in Knysna.This guest house occupies a secluded location on the Garden Route. 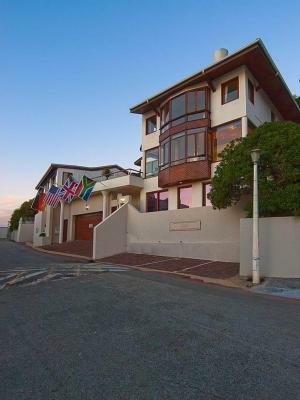 It provides far-reaching views across Knysna Bay and the beach is just a few minutes’ walk away. Free WiFi is available. 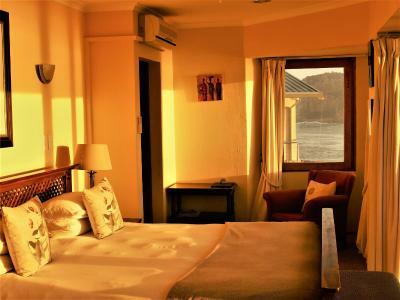 All rooms at Augusta Bay Guest House feature large living spaces and some offer views across the estuary towards the Outeniqua Mountains. 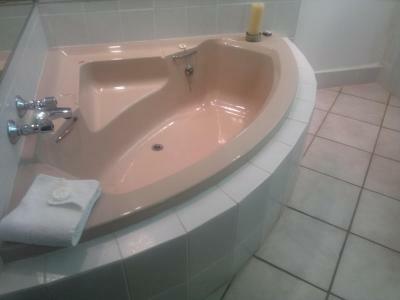 Each room is individually decorated and equipped with air conditioning, satellite TV and an private bathroom. Guests of Augusta Bay have the choice of English or Continental breakfast. There are many recreation activities available locally, including golf, abseiling, hiking and white water rafting, and the guest house staff can help arrange trips. Alternatively guests can discover many local boutiques, markets and art galleries in the village center, 5 minutes’ drive away. 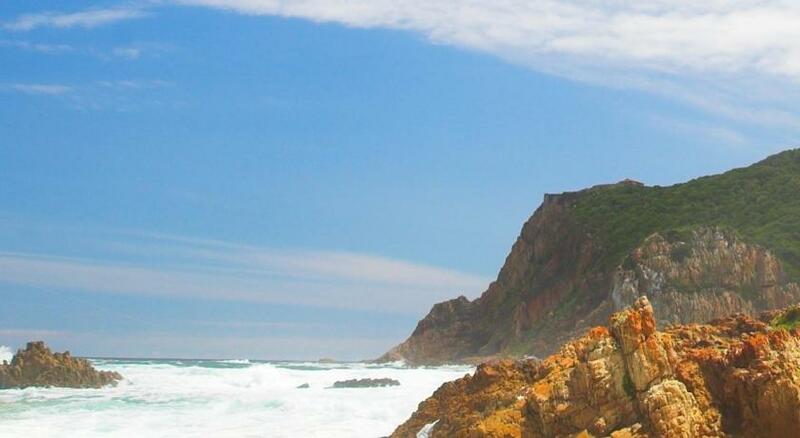 Augusta Bay Guest House is 25 mi from Plettenberg Bay Airport. 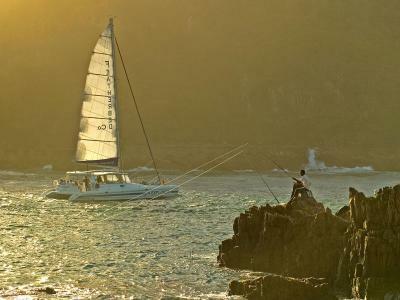 This is our guests' favorite part of Knysna, according to independent reviews. 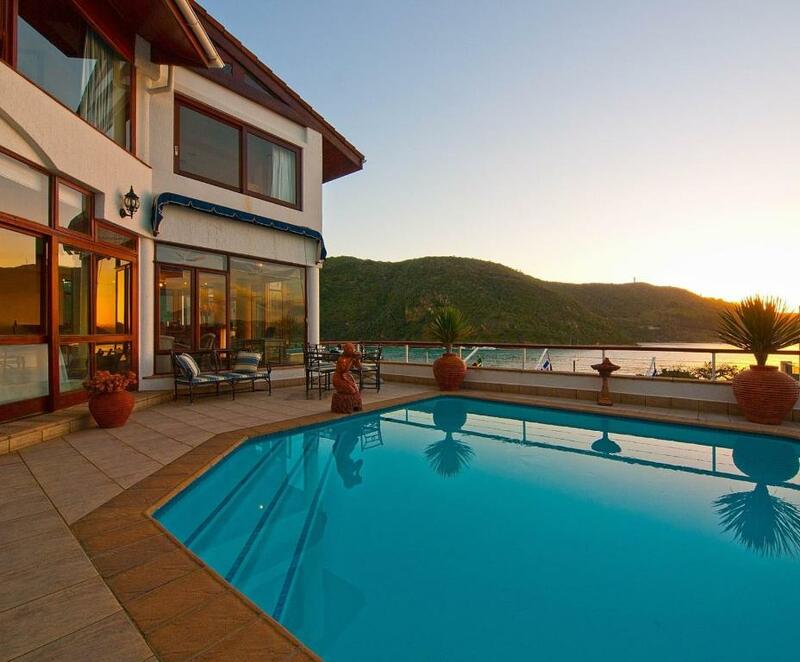 This property also has one of the top-rated locations in Knysna! Guests are happier about it compared to other properties in the area. 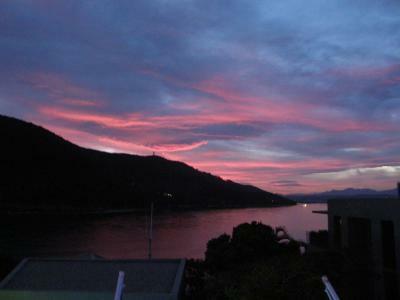 뀐 Located in the top-rated area in Knysna, this property has an excellent location score of 9.5! 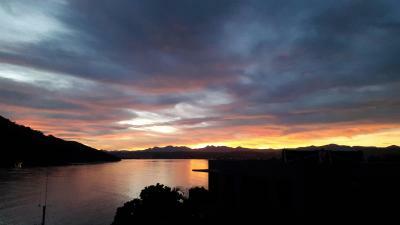 When would you like to stay at Augusta Bay Guest House? 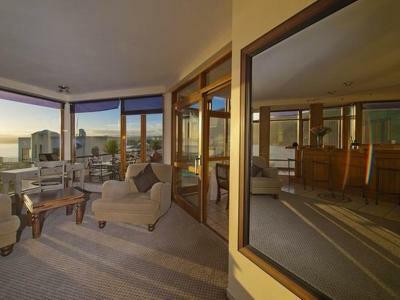 Known as Belfry, this spacious room offers views across the Knysna Estuary and towards the Outeniqua Mountains. 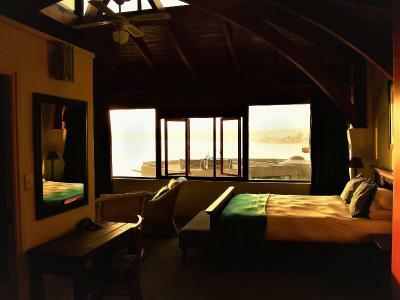 Known as Pebble Beach, this suite features air conditioning, spa bath and panoramic views over the Knysna Estuary. 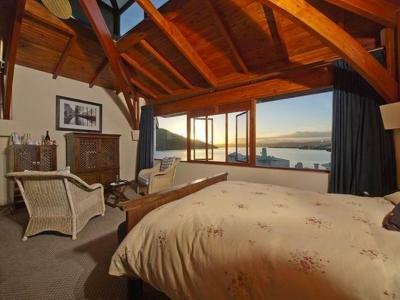 The main bedroom faces the lagoon, it has a king bed and a bathroom with a bath and a shower. The second bedroom faces the back, it has a queen bed and a bathroom with a bath. 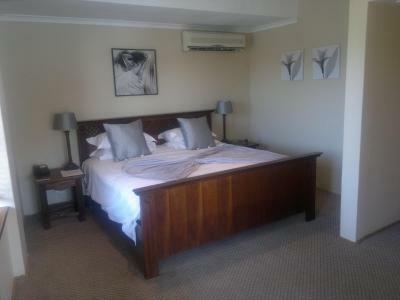 Known as Carnoustie, this deluxe room has a seating area, electric kettle and air conditioning. 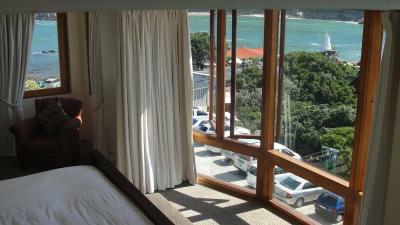 It offers views over the Knysna Lagoon. Known as Augusta National, this room features a electric kettle, air conditioning and sofa. This room has an additional double bed. Please note that the price is based on either single or double occupancy. Maximum occupancy is 4 (see Hotel Policies). The extra person rates vary according to the season and may be lower than indicated in the policies. 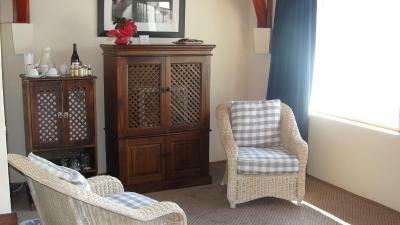 Known as Muirfield, this double room features a seating area, sofa and satellite TV. It also has a small balcony. 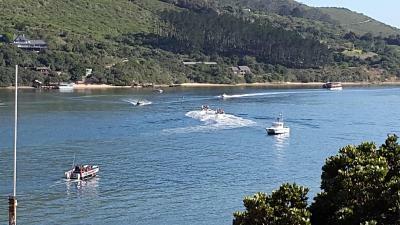 Augusta Bay has the most magnificent views over the Knysna Lagoon. 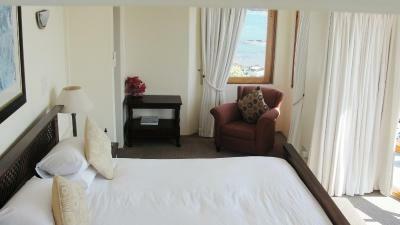 All our rooms are large and spacious and have air con as well as free WiFi. The breakfast room is warm and sunny and one can watch the boats on the lagoon while eating. House Rules Augusta Bay Guest House takes special requests – add in the next step! Augusta Bay Guest House accepts these cards and reserves the right to temporarily hold an amount prior to arrival. Please note that this guest house has many stairs on the property and is not wheelchair or walking stick friendly. 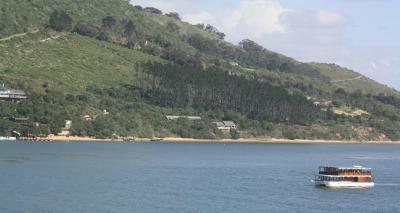 Please inform Augusta Bay Guest House of your expected arrival time in advance. You can use the Special Requests box when booking, or contact the property directly using the contact details in your confirmation. All was great. Nothing to dislike. The garden was great very nice a d dizien Very clean. We live the place. 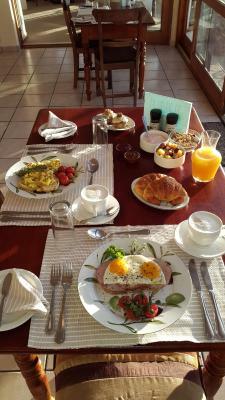 Breakfast was very good, location very good, staff very friendly and helpful, an excellent place to stay. Nothing.... Everything was just great. Beautiful location, rooms where spacious and clean. Hosts where very friendly, will definetely return! Room and bathroom need an upgrade. The highlight of the stay was actually the breakfast! This was our second visit to the Augusta Bay and their Carnoustie Room. We loved it so much the first time, we had to do another 3 nights when back in the area. A firm favourite - superb location and room, breakfasts were great and coffee to die for! Incredible views! Amazing breakfast, location is phenomenal. Accross the road from one of the best restaurants and beaches. Close to view points. Views from the bar and rooms is unbeatable. Pics online don’t do it justice.